Founded by Dutch fashion designers Viktor Horsting and Rolf Snoeren in 1993, Viktor & Rolf pushes the boundaries of what defines fashion. Stepping into fragrance creation in 2004 with the widely successful Flowerbomb aroma, Viktor & Rolf have been breaking boundaries and conventions ever since. Known for upside-down dresses and walking the catwalks in matching outfits, Viktor & Rolf are awakening the fashion industry’s senses with fragrances that are never ordinary. 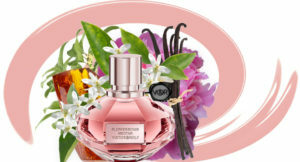 Take the ultimate olfactory journey with Viktor & Rolf.